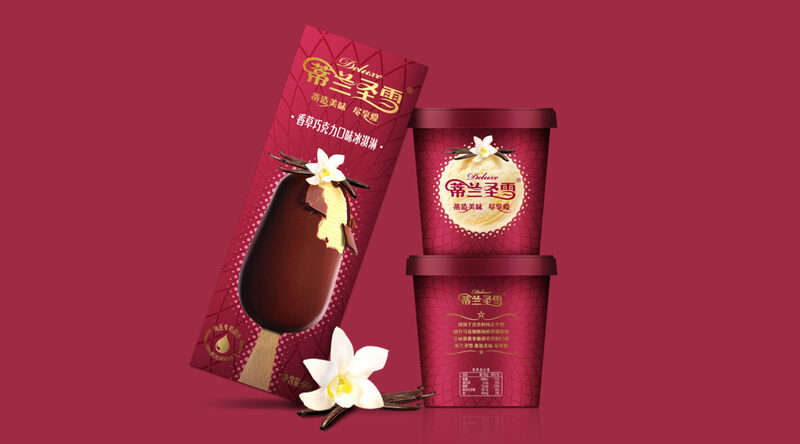 Committed to creating premium ice cream proudly made in China, Mengniu Deluxe took a big step forward by rolling out an all-round upgrade to its products and packaging in 2017. 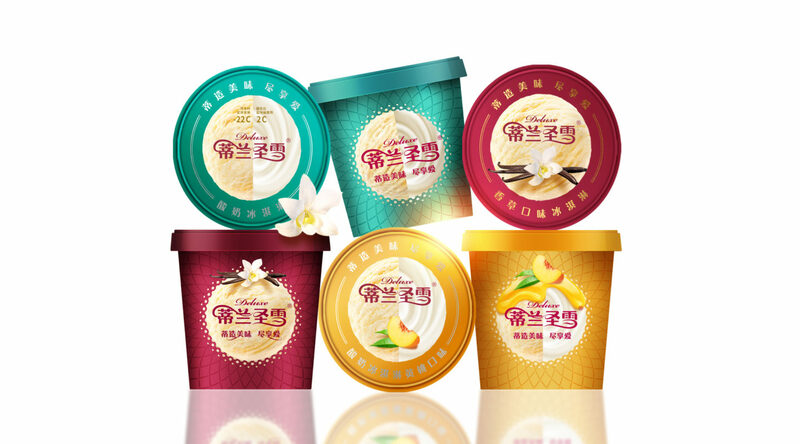 Deluxe planned to revamp their range with improved recipes of high-quality pure milk and selected global ingredients, which was expected to drive sales and build up their leadership in the premium ice cream category. 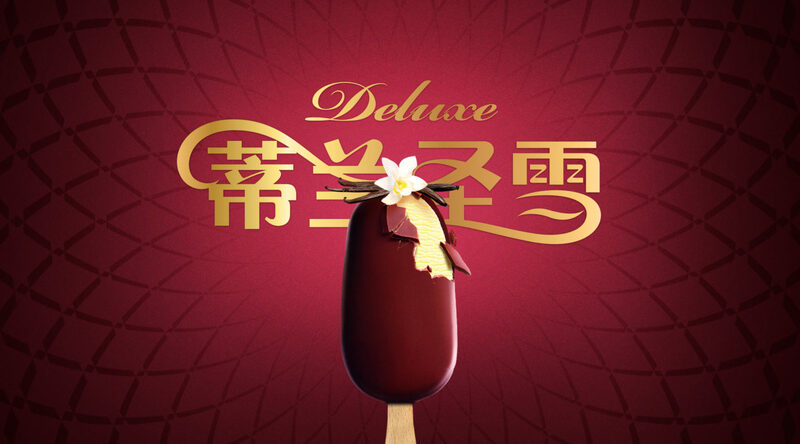 With prestigious European brands dominating the current premium segment, Deluxe aspired to compete head to head with the imported brands and establish a new standard for Chinese brands in luxury dairy. With many market players already claiming “pure milk” on their packaging, the visual identity of Deluxe had to stand out from others and tell the story of ingredients in a more striking and engaging way which evokes premiumness and taste appeal at the same time. Based on the creative concept “The Center of Happiness”, the new design creates a visual focal point with a freshly scooped ice cream ball in front of the pack and on the cap. All against a solid-colored background with radiating dots and an elegant woven pattern. It exudes a vivid sense of light-heartedness and pleasure that resonates strongly with the target audience. The visually distinctive master design was then extended across different formats, with clearly differentiated colors and a strong family look. The result is a range of appealing and modern packaging that immediately relates to rich creaminess and approachable elegance.